1time airline you beauty! On one of the busiest flight days in the year - 26 Dec - 1time has come in with the lowest flight price of R810. It's the first time in over a year that 1time have been cheapest in a survey of the JNB - CPT flight route (last time was the 2 June 2007 flight survey). 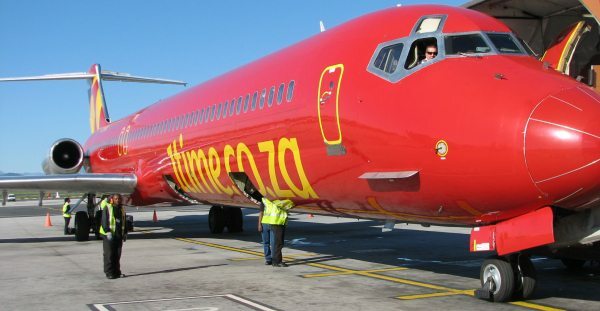 Flights are one-way leaving Johannesburg for Cape Town between 1819 and 2036. Interesting to note that Kulula's flights from Lanseria Airport are still significantly cheaper than from O.R. Tambo International Airport (in fact Kulula's "low-cost" flights from O.R. Tambo are even more expensive than British Airways and SAA's full service flights!). Amazingly, the Mango Flex tickets are still cheaper than Mango's standard pricing! And, indeed, even Mango Plus. The very cheapest method of getting from Johannesburg to Cape Town is still with the Shosholoza Meyl train (R280). Lovely photos taken by Firefly. He flew from Port Elizabeth to Cape Town to take part in a travel workshop, and promptly did the tourist thing himself (courtesy of the fact that he struggled to get a flight back to the friendly city) - taking in Camps Bay, Constantia, Hout Bay and Rhodes Memorial.